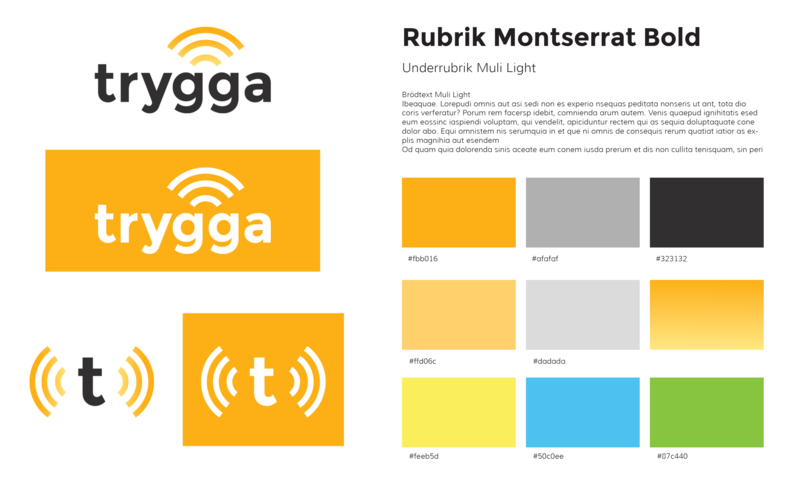 Trygga is a concept produced by me and three other students from Linköpings University for the competition East Sweden Hack 2015. We won first prize for best project and got to travel to Berlin to meet internet of things companies and startups. 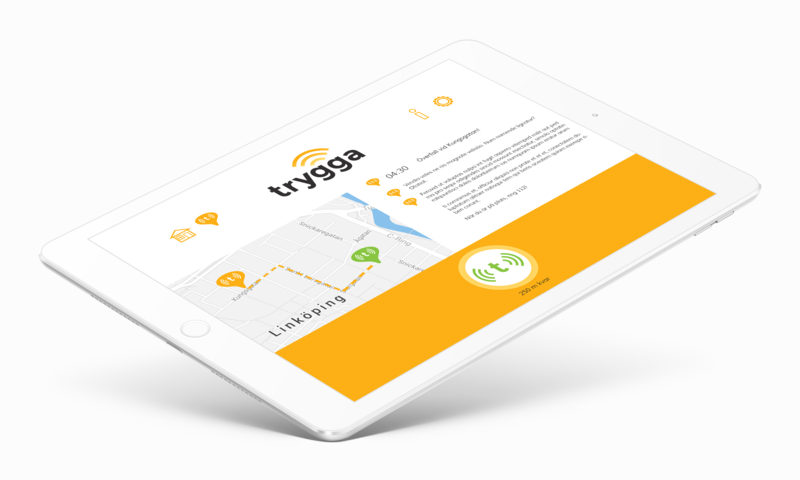 Trygga is a concept that combine technology with human benevolence, to create a safer environment. The technique is based on a traditional panic alarm, which makes a noise when triggered. Other technologies that have been added is safe GPS location and there is also a plan to integrate the technology of photography and sound recording which can then be used as evidence in case of an attack. 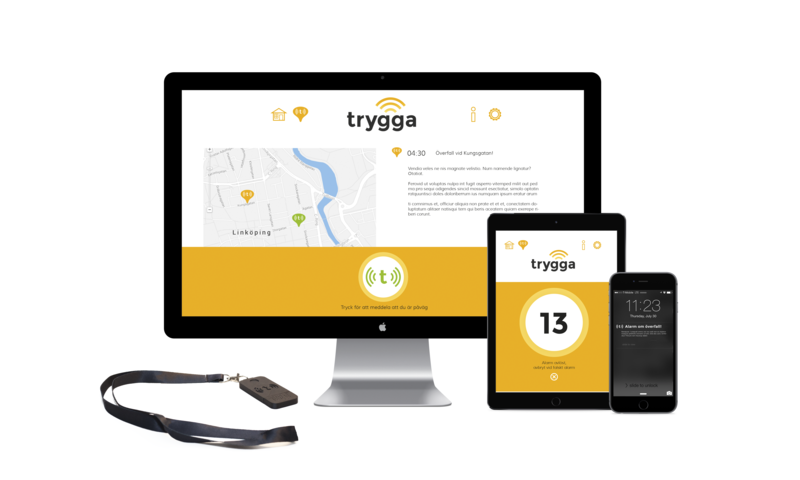 To make Trygga complete, we created a network of users for assault alarm. 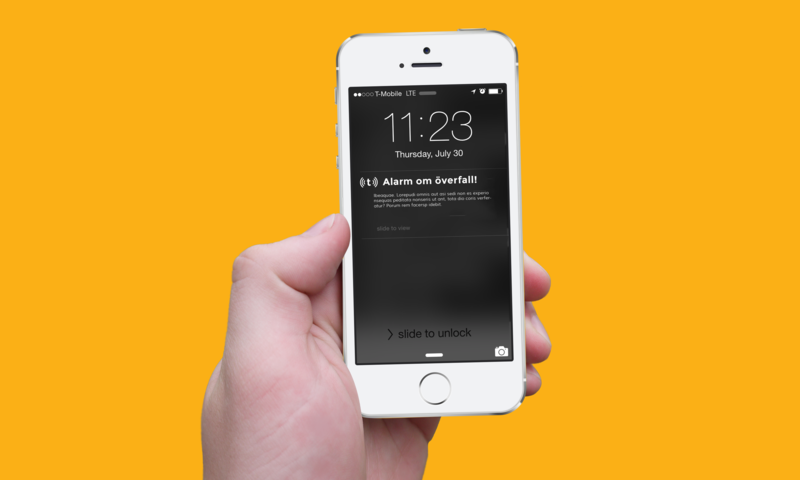 When an alarm goes off users nearby is given a notifications with information about the person, place, and so on. This information allows them to get to the specified location fast to help the victim.